***New Arrival*** CLEAN TITLE CERTIFIED! This vehicle is at 205 E. State Pleasant Grove, UT 84062. 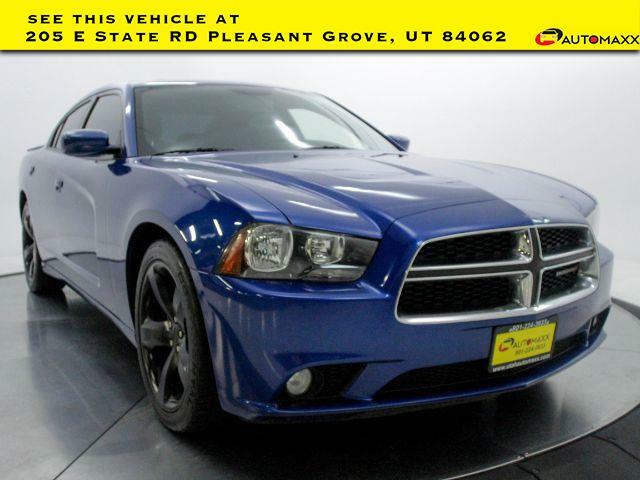 Blue Streak Pearlcoat 2012 Dodge Charger SXT! This is a loaded Charger SXT with all the options you want. Some options include Beats by dr. Dre sound with a huge touchscreen console, power sunroof, heated seats, dual zone climate control, steering wheel controls, 8 speed auto trans with paddle shifters, 20 alloy wheels , rear spoiler and much more! -----Automaxx Pleasant Grove-Utah Countys Only UN-Authorized Jeep dealer! --- All vehicles come with a 12 month/12,000 mile Powertrain WARRANTY for your PEACE of MIND! --- Winner of the 2018 and 2012 Quality Dealer Award in Utah and in business since 1998. ---Find us at 205 E. State Pleasant Grove UT 84062. Open 10am to 7pm Monday to Saturday. Or call 801-679-6688! !